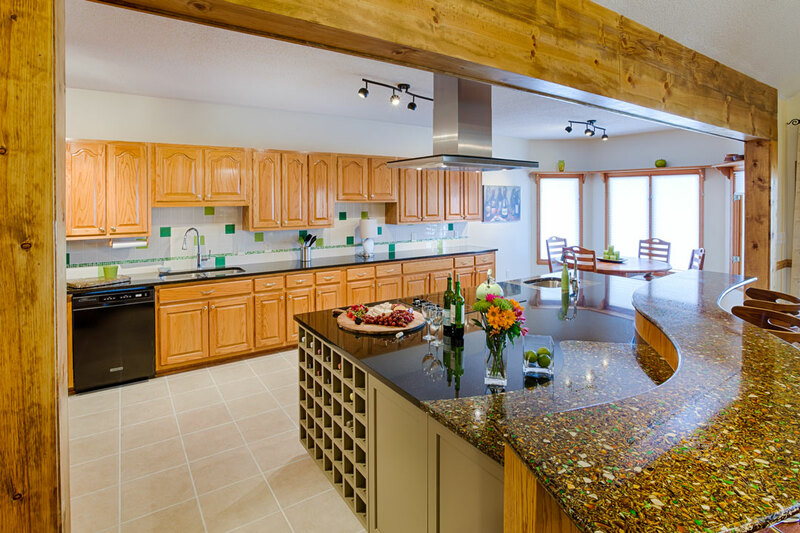 The kitchen island is the center focal point of the room and the place where your family and friends always gather. 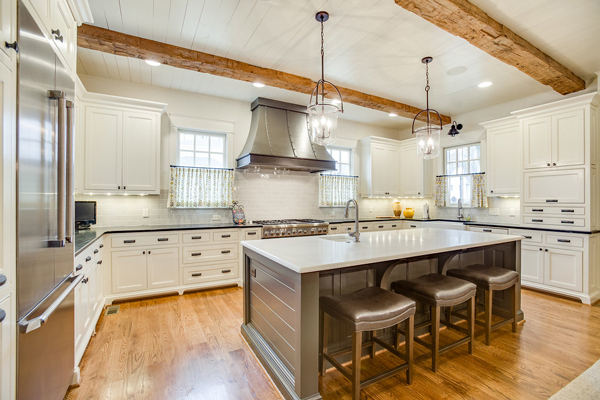 Here are 5 kitchen island design ideas to add functionality, design, and beauty to your home. All surfaces were fabricated and installed by Surface One. Ready for an update? Make an Appointment with Surface One Today! 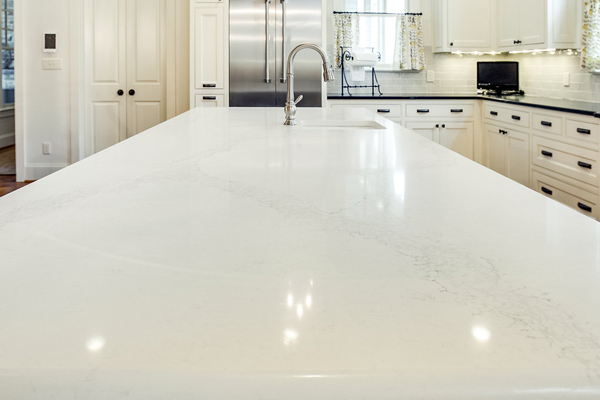 Your kitchen island countertop does not have to be the same as the rest of the home. 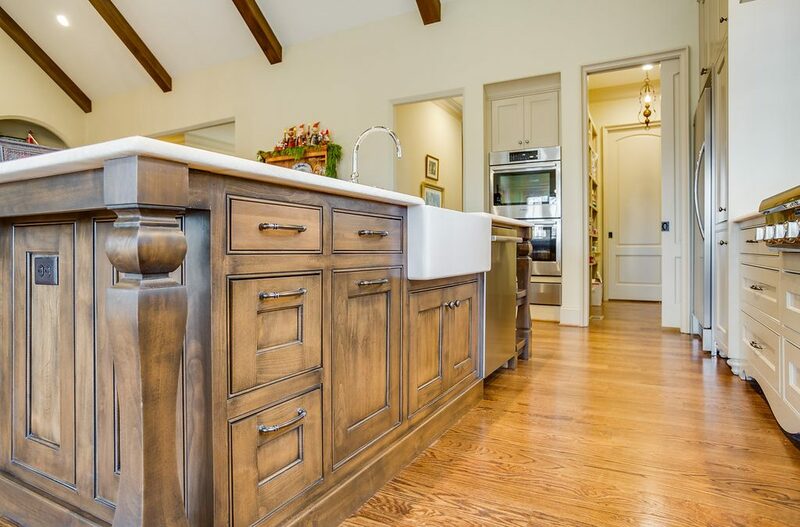 One design idea to give individuality to the kitchen island is to mix countertop material on the island. You can choose 2 complementary colors of the same material or create an intricate design with 2 contrasting materials. The choices are endless. In the image below, Surface One combined Absolute Black Granite and Vetrazzo Recycled Glass to create a dramatic focal point. Who says everything in the kitchen has to look the same? 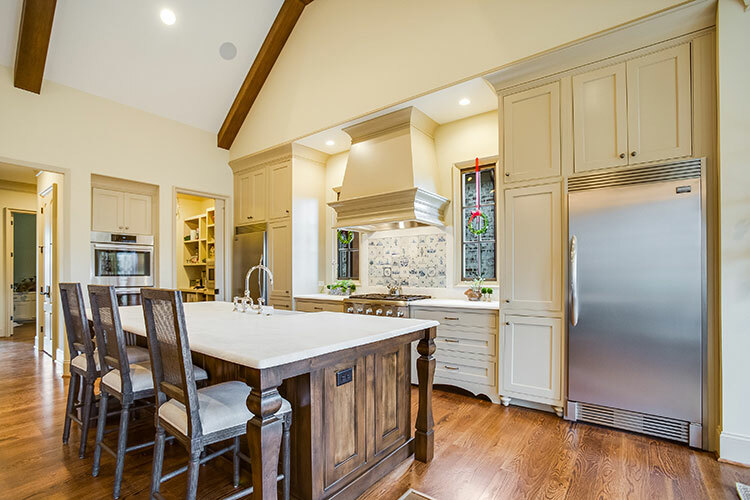 Kitchen islands are becoming a focal point by changing the countertop surface, cabinet color and/or cabinet style. 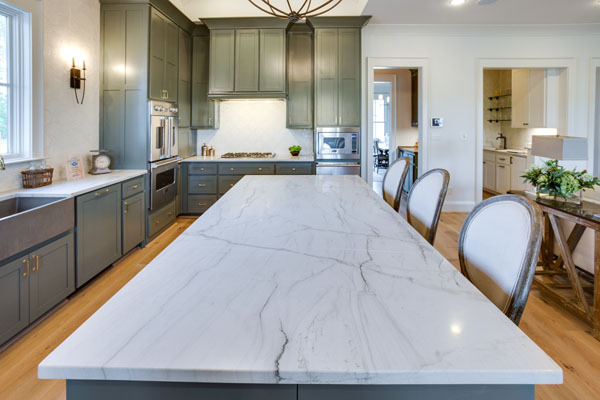 Homeowners are opting to use a simple Granite or Quartz on the kitchen countertops with a vibrant contrasting stone on the kitchen island. Mixing and matching cabinet styles and colors add originality to the design. The possibilities are endless. In keeping with universal design principles, the kitchen island is a great place to install under counter appliances. The microwave is one of the most popular appliances to be housed in the island—keeping it in reach of all family member, short and tall. Some new microwave models are built like a drawer than can be loaded from the top for easier use. Single level islands can still be used for seating while opening up the kitchen to the rest of the home. They provide more workspace for cooking and more serving space for entertaining. This design idea joins the kitchen with the adjacent living space to create an open, airy feeling. Waterfall edge countertops continue the countertop material from the top of the island to the floor. 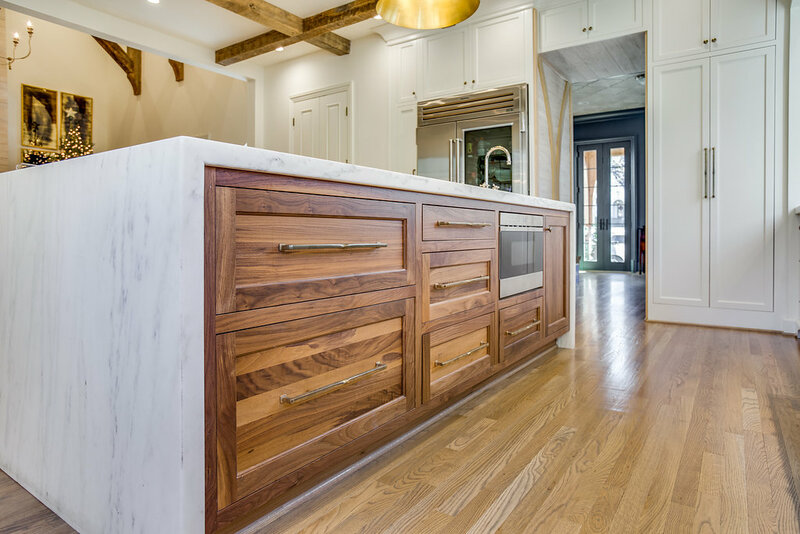 The stone encapsulates the island and provides the perfect frame for a contrasting cabinet color or design. Waterfall Edges also known as waterfall panels are an excellent way to add style to the focal point of your kitchen.